Below is a list United States government image sites. In addition to specific image sites, many government agencies also have Instagram and Flickr accounts. Using imagery provided by the government has several advantages. With very few exceptions, pictures, drawings, and illustrations created by the government are automatically in the public domain. You can use them without having to worry about licensing or having to request permission. Because images are in the public domain, they are free to use for personal and commercial projects. Government agencies employee professional photographers who have access to cutting edge equipment and techniques. 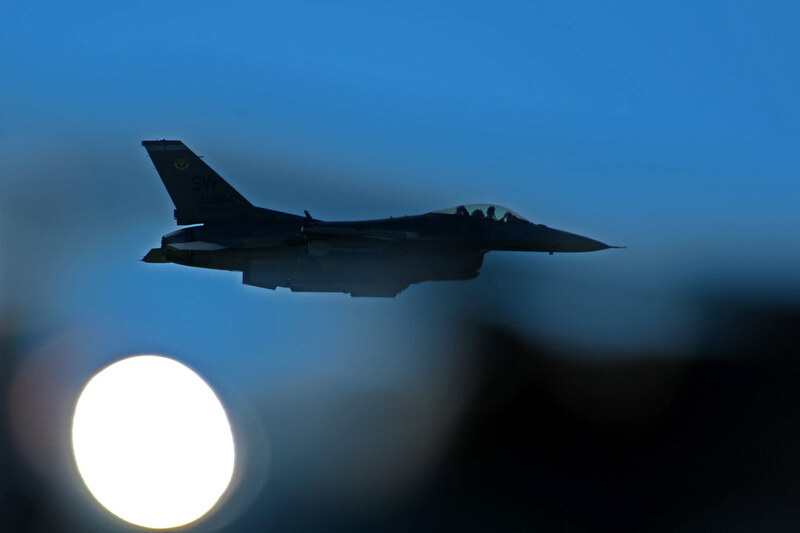 Government photographers have access to situations that are limited for the rest of us. When the President is huddling with key leaders in the situation room, a photographer is present. When troops are in combat, photographers are there. From the list of sites provided at the link above, I selected the National Gallery of Art | NGA Images. 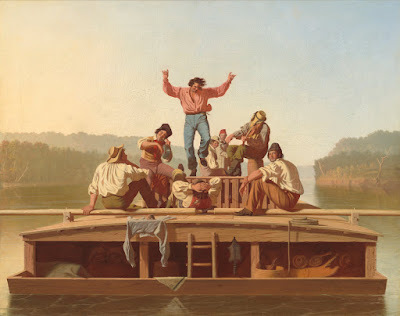 This image of the painting "The Jolly Flatboatmen" by George Caleb Bingham (1846). This website describes its mission as "to serve as a turnkey operation that facilitates requests for US government produced video, audio, still imagery and print products; coordinates interviews with service members, commanders, government spokespersons and provides an archive for ongoing worldwide operations." Two basic image filters are most recent and most popular. The most popular images will likely get what you're looking for the fastest. A great source for military activities including training and combat. Government image sources have two advantages. First, the government can take photos which would be impossible for you to take. Second, most government photos are taken by professional photographers. This image is a great example. The Library of Congress describes itself as "the nation’s first established cultural institution and the largest library in the world, with millions of items including books, recordings, photographs, maps and manuscripts in its collections." 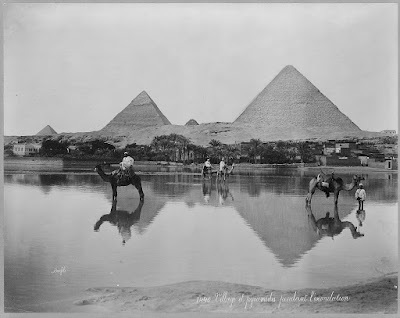 This image is described as "Egypt. Village and pyramids during the flood-time. ca. 189-"
The Library of Congress also has a Flickr account. The Patent office describes its mission as "promote the Progress of Science and useful Arts, by securing for limited Times to Authors and Inventors the exclusive Right to their respective Writings and Discoveries." Every toy, electronic device, piece of furniture, car, medication, etc. had a patent at one time. Patents expire after 14, 17, or 20 years. Patents from 1790 through 1975 are searchable only by Issue Date, Patent Number, and Current US Classification. However, more recent patents are searchable using search terms. I searched for "star wars" AND "toy." The image below is from a file patent for toy figure. The patent was filed in 1980 and expired in 1994.